It’s been five years since Chris Kluwe described in detail Vikings special teams coach Mike Priefer’s outspoken bigotry and homophobia, including when Priefer said, in a team meeting, “We should round up all the gays, send them to an island, and then nuke it until it glows.” Priefer has been employed by the Vikings the entire time since then. Priefer denied Kluwe’s accusations, but after an internal investigation found that Priefer made at least one homophobic remark, he was suspended by the team for three games in 2014 and made to participate in sensitivity training. That was the extent of Minnesota’s concern—Priefer retained his job and, in 2016, was even elevated to interim head coach when Mike Zimmer missed a game due to emergency surgery. 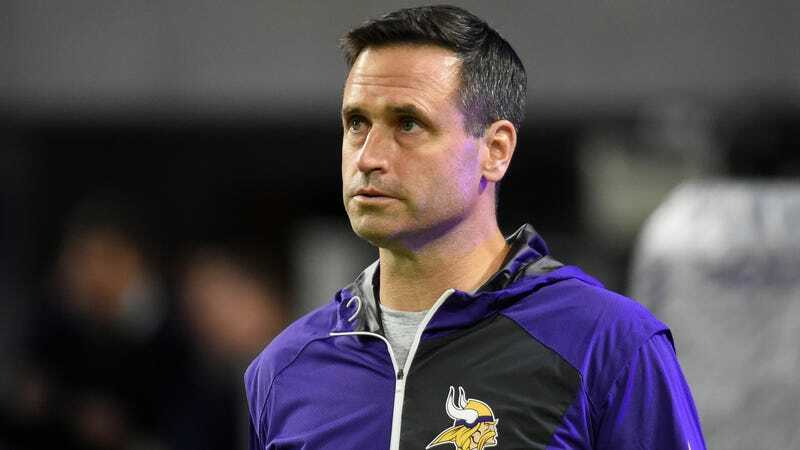 Priefer was performing well at his job, and so the Vikings were happy to let him pass with a rap on the hand for saying that gay people should be nuked out of existence. But the Vikings underperformed and missed the playoffs this season—Zimmer’s fifth with the team and Priefer’s eighth—and so a staff shakeup was evidently in the cards. Minnesota’s return and coverage teams were solidly in the upper half of the league by yardage gained and allowed, respectively, but the Vikings missed 10 field goals and finished with a putrid 68.8 conversion rate on attempts, both worst in the NFL. This cost him his job with the Vikings, while being an outspoken homophobe did not.